Elton John’s annual Oscars party is a huge event that raises millions for HIV/AIDS research. This year he welcomed actor Taron Egerton to the stage to perform his classic tune Tiny Dancer. Egerton portrays Elton John in the upcoming biopic Rocket Man. The film is directed by Dexter Fletcher and it follows Elton John’s life from unknown session musician to international superstar. 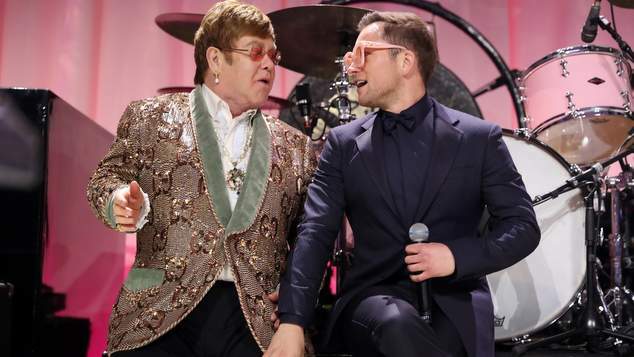 Taron Egerton has said in media interviews that the film does not shy away from the fact that Elton John is a gay man, and the trailer indicates that Elton’s love life is a big part of the story line. Rocketman has been described as an epic musical fantasy about the incredible human story of Elton John’s breakthrough years. The film follows the fantastical journey of transformation from shy piano prodigy Reginald Dwight into international superstar Elton John. The inspirational story also stars Jamie Bell as Elton’s longtime lyricist and writing partner Bernie Taupin, Richard Madden as Elton’s first manager, John Reid, and Bryce Dallas Howard as Elton’s mother Sheila Farebrother. Check out the clip below, Rocketman is in cinemas on 30th May 2019.